Update: according to NBC, a second victim has died following Toronto mass shooting, police say. Fourteen people, including a young girl, were shot after a gunman opened fire as he walked along a Toronto street, killing one before dying after an exchange of gunfire with police at 10pm on Sunday, police said. 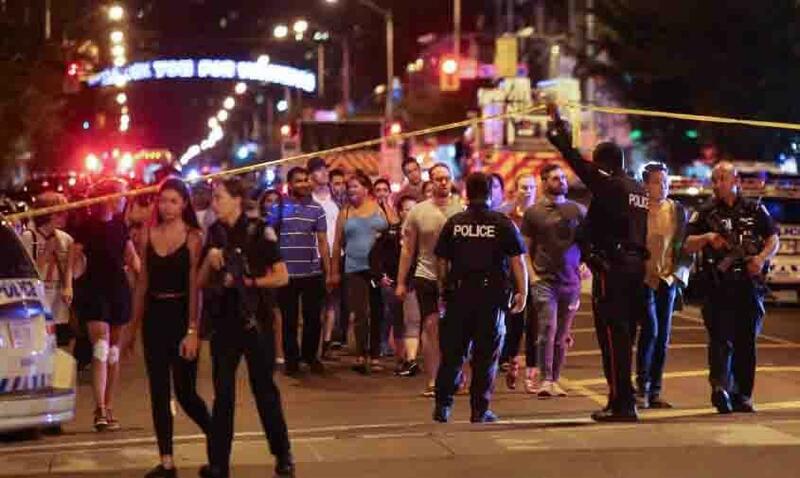 Toronto Police Chief Mark Saunders said the shooting in the city's Greektown neighborhood was not random and he did not rule out terrorism as a motive. "Other than the shooter we have a young lady that is deceased," the police chief said. Saunders also said a 9-year-old was in critical condition. 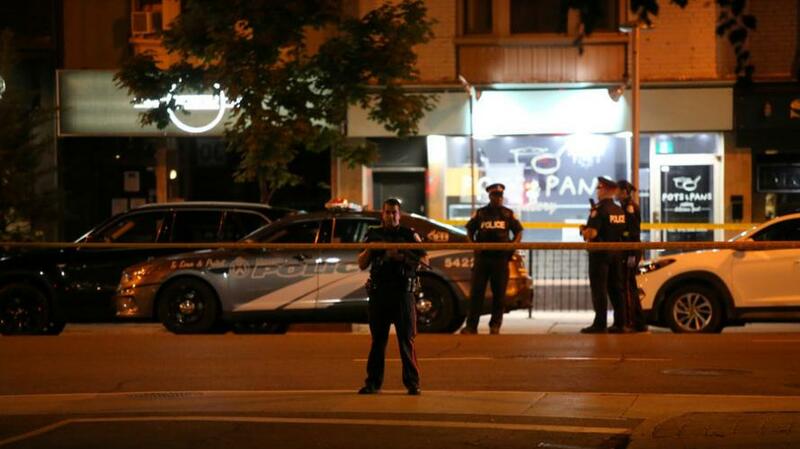 A video from one witness shows a man dressed in black clothes and a black hat walking quickly down Danforth avenue and firing three shots from the sidewalk into at least one shop or restaurant. Toronto's Greektown is a lively residential area with crowded Greek restaurants and cafes. Witnesses said they heard 25 gunshots, CityNews.com reported. Toronto has been grappling with a sharp rise in violence this year. Deaths from gun violence in the city jumped 53 percent to 26 so far in 2018 from the same period last year, police data last week showed, with the number of shootings rising 13 percent.